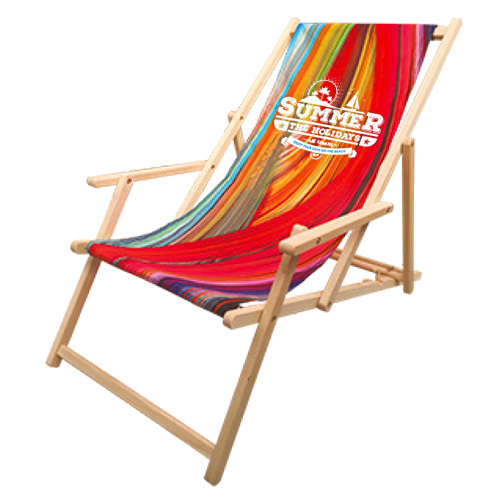 With these personalised deck chairs made of solid, untreated beech wood you can invite customers and friends to spontaneous recreation. Stand out with your advertising! 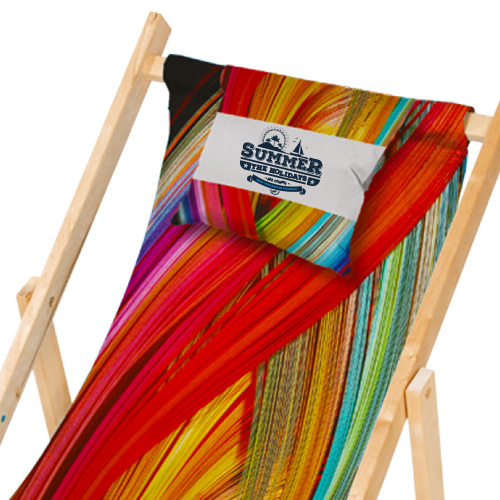 At events, concerts or on terraces, branded deck chairs printed with a very personal design are incidentally also a great gift idea. 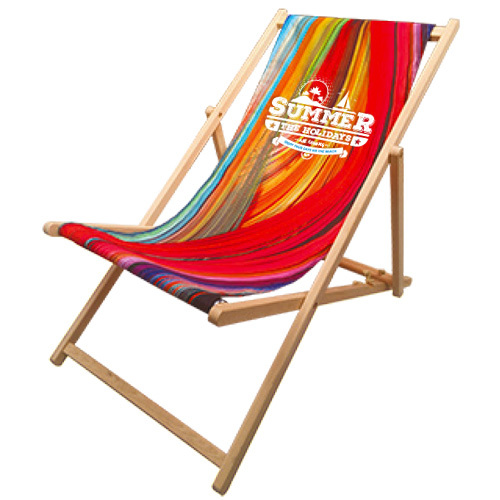 The fabric is made from high quality 210 grams polyester.